Snoopy III - Ready for loading to Bernay after running up at home. Snoopy III - First pull of 2011 - NEW LOOK !!! Snoopy 4 - Great Eccleston Aug 2015 Do you have any photos?? Please send us some? Snoopy 4 Chassis takes shape. March 2012 - progress continues. 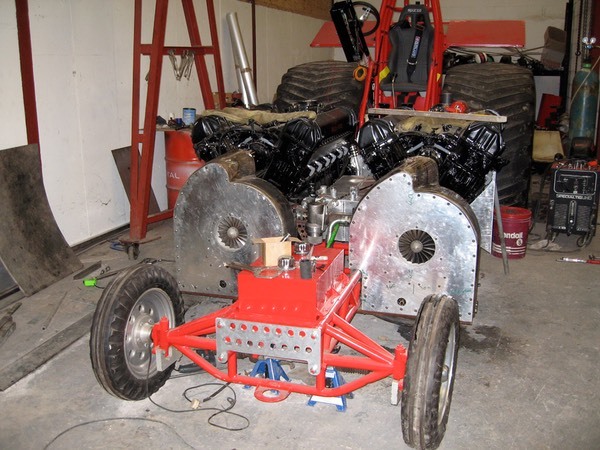 May 6th 2012 - Both tractors close to completion.